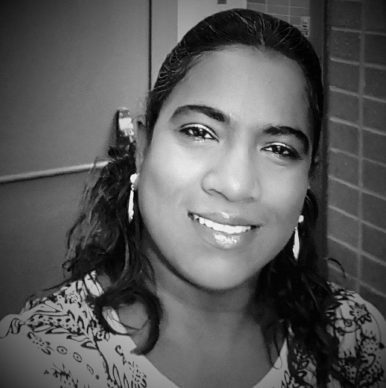 Anne Apuakehau grew up in a religious home in Bangalore, India. Following her third oldest sister’s baptism, Anne listened to the missionaries and gained her own testimony. She and many members of her family were baptized and became some of the first members of the Church in India. Anne became a passionate member missionary and went on to serve a full-time mission in New Zealand. After her mission, Anne attended BYU-Hawaii where she met her Hawaiian husband and graduated with a degree. 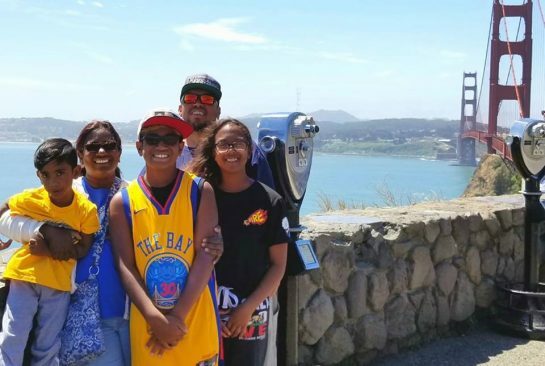 With a hope for greater opportunities for their children and additional ways to serve the Church, Anne and her husband moved to Utah where they continue to celebrate their diverse heritage and raise their family focusing on the gospel. What was it like growing up in India and specifically in Bangalore? When we were growing up, we were very family-oriented. Our moral standards were quite high. Drinking and smoking were taboo for women so that was never a temptation. When I was introduced to the gospel, it made perfect sense because of the ways it fit into our beliefs and culture. It was fun growing up in India. Cousins were always stopping by. Our traditions were so fun. We celebrated each holiday and festival. There are so many cultures within the larger Indian culture. We have Hindus, Muslims, and Christians all living in the country. Each state carries its own identity. We work well together even with the diversity. I would not trade it for anything else. I grew up in Bangalore. My favorite thing about Bangalore is my favorite food, Masala Dosa. It is like a crepe, but it is made of rice, flour, and moong dal. It’s so yummy. Bangalore is now called the Silicon Valley of India. It is a software city. Growing up, I remembered it to be a botanical garden of India. We had a lot of greenery. Bangalore is in a state called Karnataka where the language of the state is Kannada. Bangalore is a place with innovative thinkers who want to expand and grow. People from all of India would come to establish their businesses because Bangalore was opening doors for innovation and growth. It became a place of commercial and software businesses. People are generally very open-minded and welcoming. I think that’s why Bangalore became what it is now. It houses all different kinds of people from all over the world. How did your family find the gospel? This was in 1986. The Church was small. There were only a handful of members. Heavenly Father planned it so well. My family members were staunch Catholics. My mom worked with a young lady who was a recent convert of the Church. This young woman introduced the Church to my mom. She bluntly rejected and said several times, “You either just be quiet or I won’t be your friend.” She was rude to this friend and told her stop sharing because she had what she needed at the Catholic Church. The friend never gave up. She was inspired to send missionaries to our home. My sister, Agnes, answered the door when the missionaries knocked. She was touched by the Spirit. She came back in and said that the message was the most beautiful thing she ever heard and she wanted to hear more about it. She was 14 at that time. My dad was very strict and my parents had a systematic way of dealing with things and determining how life should be led. They said no, we already have what we need. She decided to go behind their backs and take the discussions from the missionaries. The missionaries kept telling her they couldn’t go much further with the discussions because they needed her parents’ approval. I remember she was crying. She fasted and prayed. Again, as usual, Agnes went against my parents. She forged their signature on the form and got baptized. A week later, she told my dad she had been baptized. My dad had threatened to throw her out of the house, so she would no longer have a home or family. Maybe she knew he was never going to do that. She came back a week later and he thought, “What am I going to do now. She’s only 14. She’s my daughter. I can’t kick her out of the house.” He had to accept the situation and move on. Because of that, she started to invite the rest of the family to activities. Slowly my whole family started attending. It was beautiful. Eventually everyone but my father joined the Church. My conversion happened around the same time as my sister. I was a year younger than her. It struck when I heard about Joseph Smith and how he was struggling to figure out what church to join. All through my childhood, I never felt that I was in the right place when we went to church. I never connected. I knew the Bible inside and out. That’s something that we learned as children in Catholic school. I knew the stories, but the spiritual connection wasn’t there. When I heard the discussions about Joseph Smith, I felt connected. I felt the Spirit as I learned other gospel principles. The discussions stuck with me and converted me fully. I realized that my purpose in this life was far more than just going to mass, listening to the priest, going home, and forgetting about it. It was not easy, but my foundation was based on the testimony I gained. I knew I had far more to do. This newfound purpose helped me study the scriptures more and move from just grasping the knowledge to comprehending them on a spiritual level. How did membership in the Church of Jesus Christ influence your upbringing and decisions? I went to school where we were a minority as members. There were only a handful of us. The Word of Wisdom was especially difficult. Moral standards were already high without having the gospel included. We didn’t have any chastity issues because that was part of our culture. We wouldn’t do inappropriate things. Most of the time we didn’t know swear words because we were taught in our home not to say them. I remember my friends would tease me because I stopped drinking tea and coffee. Alcohol was not an issue. I got teased a lot about going to the church that nobody knew much about. That was a little bit difficult among friends. In my home we weren’t allowed to hit our brothers and sisters. There was no violence in our home. My dad was very strict and if we had issues with each other we took it to him. We were never to call names to each other. Heavenly Father prepared us well to accept the gospel. It was easier for me and my family to become members in comparison to other members who were Hindus before or had tougher family surroundings. Eventually you moved to the United States. What brought you here? After joining the Church, I always wanted to serve a mission. It was my ultimate goal. 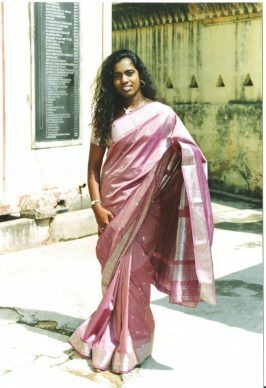 My older sister had a chance to serve a mission in India. A year before she turned 21, they established a mission in Bangalore. I went on tradeoffs with her and her companions. I was so stoked that I would get to serve in my own country. Two years later they called off all sister missionaries because it was far more difficult for sisters to be in the field in India. India wasn’t ready for sisters yet. There were many controversial issues with females being out and about on their own. I was very disappointed because I had just turned 21. I decided that if I was not married when they reopened India to sisters, I would go on a mission. When I was 23, they reopened the mission for sisters, but only for areas outside of India. I applied to serve a mission and was called to serve in the New Zealand Auckland mission under President Richard and Sister Nan Hunter. It was the best experience of my life. I was surprised I got called to serve in New Zealand. I wanted to serve because I wanted to serve among my people, but I always had a feeling that I had a bigger mission. I had so many opportunities to teach Indian people in New Zealand of all places! I had never spoken in my language in religious terms. It had always been in English and my thought process was in English. I had opportunities where I had to use my language in religious terms. It was hard! It was a beautiful experience for me. I was able to share the gospel with people who were living outside India, but were all Indians. I had a chance to pray in my language for the first time in my life. My favorite part was knocking on doors, meeting new people every day, and planting that seed of the gospel whether or not they accepted the message. Having opportunities to touch someone’s spirit were the greatest moments on my mission. While I was serving, Richard and Nan Hunter were inspired to help me further my education. Without my knowledge, they applied on my behalf to BYU-Hawaii. They gathered all the required documents from my High School in India. They are an amazing couple. At one of my interviews, President Hunter said, “Sister Xavier, I have to apologize to you.” I thought, “What would the mission president have to apologize to me for?” I laughed and thought he was joking. He said, “No, truly Nan and I need to apologize to you because we were guided by the Spirit that you should go to BYU-Hawaii. We applied on your behalf.” I was accepted at BYU-Hawaii. The Hunters also set up a scholarship account for me, so I wouldn’t have to worry about tuition. Everything was ready to go and all I could do was cry and thank him for helping me further my education. The Lord had planned something for me. From there, I went to BYU-Hawaii and got my bachelor’s degree. I met my husband at the Polynesian Cultural Center. We got married and had three children. We decided that we needed a better future for our children and better opportunities to serve. We moved to Utah eight years ago and I have been in the United States since 1999. It was such a beautiful thing that the Hunters did. I could never discredit them for what they did. If they didn’t follow that prompting, the Lord would have found a different way if this was the path He needed me to follow. But they initiated it. That’s why I’m here. They saw things that I could do for the Church. I’m always grateful. I do miss my family, but I’m grateful that I have so many more opportunities to do more. I feel deep down inside that Heavenly Father has a great plan for me. Every day, I feel like I haven’t accomplished it yet. I have more to do. I just don’t know what it is. I try my best to be the person I need to be. Now that you are a mother living in Utah, how do you find ways to celebrate your heritage with your family? I’ve instilled the culture in them quite a bit. I have the same rules in my home that my parents had. My kids can never call names to each other or hit each other. They don’t do that ever. I know people are surprised they don’t do that. I’ve always known that if I held onto certain cultural aspects the Spirit would dwell with us longer. I hold onto most of my cultural heritage and have shared it with my kids. Every day we talk about it. I celebrate certain festivals with them. I’ve taught them how to cook Indian food. The beautiful thing though is that I’m married to a Hawaiian. Hawaiians have similar cultural behaviors and aspects as Indians. It’s been easier to implement them because we believe the same. For example, we leave our footwear outside the door. Indians believe you don’t want to bring the dirt inside—all the bad stuff you do outside or the bad spirits who are around, so we leave them at the door. Simple things like that. We’ve also taught that you don’t ever speak unkindly to someone especially to someone older that you. Even if they are mean and rude you don’t ever disrespect them. You always call them Aunt or Uncle, instead of by their name because that shows you recognize they are older and should be respected. I do love my culture. My children embrace it so much and it makes me so happy. Do you have any advice for people who want to share the gospel but don’t feel confident doing so? I know fear is a huge aspect in all our lives. Fear is what holds us back from progressing. It is not an easy thing to overcome. Especially when it is in relation to families. I believe that most of the time, the best way to share the gospel is through your example. Live your life the way Heavenly Father wants you to. Not how your neighbor wants you to or how your mom and dad want you to. Most of the time people forget that scriptures are there for guidance on how to act – not how to just grasp the knowledge and keep it in ourselves, but how to act. If our actions speak louder than what we share with people, that will definitely touch the lives of those seeking something more than what they have. For example, my husband is the only member in his whole family. When he joined the Church, his mother disowned him and wanted nothing to do with the Church. Eventually, he was accepted back into the family. Experiences like this make it harder to share the gospel with family members because we don’t want to hurt their feelings. When I got married I relied on my strong testimony of Jesus Christ. We started our family life in a way Heavenly Father wanted us to. We taught our children how to pray and to be kind, polite, and service-oriented. My mother-in-law noticed how her other grandchildren were drastically different from my children when they were together. She was touched by their actions. She now asks my husband to offer prayers during family gatherings which they never did before. She tells people how our children are so kind and nice. They pray about everybody and now she looks up to our family. I want her to know that the gospel is always true, but some members of the Church behave in a different manner because they choose to, not because they are following the teachings of Christ. I want her to know that the gospel brings so much joy even though we don’t drink, smoke, or do other things that some people do to find peace and happiness. My advice is to live the gospel the way Heavenly Father wants us to live and everything else will fall into place. Thank you, that is beautiful. Is there anything else you would like to add or share? No matter where you grew you up, no matter where you accepted the gospel, the gospel is for each individual. The culture and the gospel are so different in each country because certain individuals take the gospel and integrate it with their culture. They make it a system instead of remembering that the gospel is the gospel in itself. It has nothing to do with your culture. Living in Utah, I have seen a lot of unwritten principles that people judge others by, because they are not living the way their family in Utah is living. I want to say to all members of the Church that you live how you are required to live in your country and your environment, as long as you live the way that Heavenly Father wants you to live. That’s all that matters. It doesn’t matter what the local members perceive it to be. You don’t have to please them because they are not providing judgment at the end of time. It is between you and the Lord. As long as you keep that line clean and clear and know that He is the only judge, I think that people will do so much better at living the gospel. Languages Spoken at Home: English, but growing up in India; I spoke English, Tamil, Hindi, and basics of other languages with friends.